Though they aren’t necessarily new, QR (Quick Response) codes are showing up everywhere lately. You can find them in magazines, on business cards, storefront windows, product labeling and displays, billboards or catalogs (just to name a few!). Users with a camera phone equipped with the correct reader application simply scan the image of the QR code to display text, a webpage, Vcard contact details, video and much more. QR codes are a great way to engage potential and existing customers. That is one reason why some savvy businesses are printing QR codes directly onto their point-of-sale thermal paper receipt! Many POS terminals, POS printers, credit card terminals and cash registers now offer the capability to print graphics on every receipt. This low cost tool makes it possible for you to market to your customers, every time they purchase from you. Adding a QR code is a great way to reward current customers and encourages repeat business. “QR codes are printed as bitmapped images (graphics) and users simply insert the QR code as a graphic or logo using the configuration utility of the printer model. For example, for the TSP100, the QR code is saved as a .jpg, so they can insert this QR code image into the configuration utility then set it to print at the top or bottom of the receipt.” Christophe Naasz, Director of Marketing for Star Micronics. "Our print driver has the ability to scan the receipt printed and if a key word is contained in the receipt a coupon is printed. For example, if you are running a promotion on beer, if a beer purchase is scanned on the receipt a beer coupon would print. This coupon could contain a QR code on the receipt. 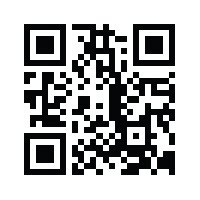 We can print out a QR barcode in the header or footer as well." said Herb Netal, Dir., Engineering & Business Development for Citizen Systems. "In thermal receipt printing the QR code can be printed as a graphic using middleware software to enhance the feature of the receipt. 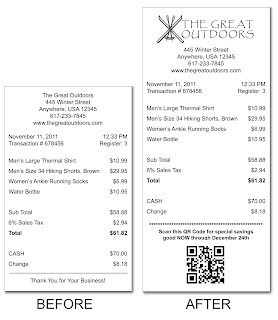 For instance CognitiveTPG two-color thermal and hybrid printers come with a receipt marketing tool to allow the user to add logos and graphics to the header or footer of the receipt. 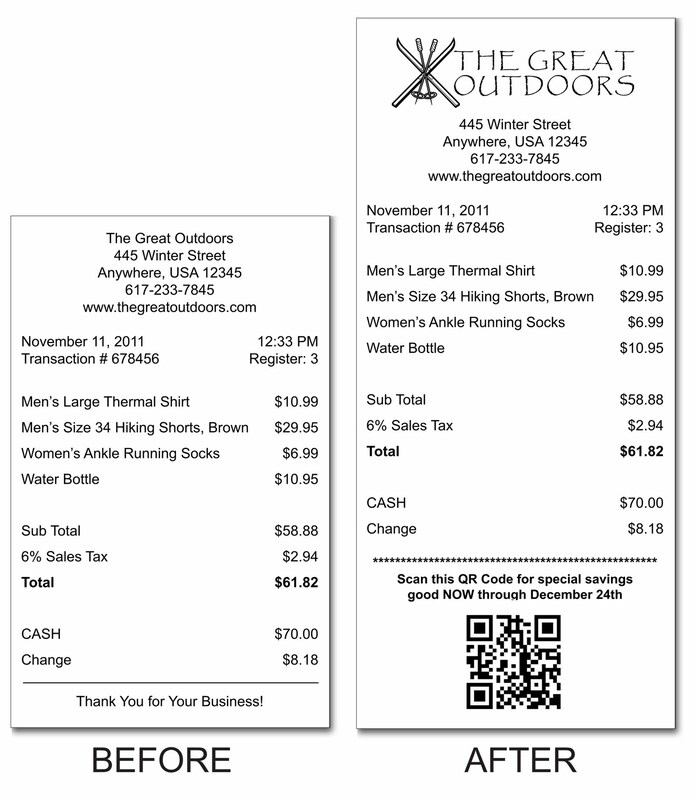 In this case the QR code would be entered as a graphic on the receipt. However this graphic has no actual relation to the printed transaction." said Angela Mansfield, Director of Corporate Marketing at Cognitive TPG. "In order to connect the QR code to the transaction the printer must be able to print it as a symbology or formula which is embedded in the firmware of the printer just as the 2D barcode is printed. The QR code can store more information than the standard 2D linear barcode which is one reason we are seeing an increase demand for this functionality. For instance there are some cases where the user wants to use the QR code to record the historical transaction and additional information in the case of a return to vendor application." * Test your QR codes with multiple readers and devices. * Use a site like www.bitly.com to shorten the link to create a clean code. * Make your codes at least 1″ x 1″ to ensure proper scanning. In addition to printing QR codes directly onto your thermal receipt paper, you may also want to consider custom printed receipt paper rolls. Your message can be printed in full color which has been shown in studies to increase customer retention. For more information, visit our custom printed paper rolls page. What are your thoughts on QR code technology and it's future? We'd love to hear your feedback!